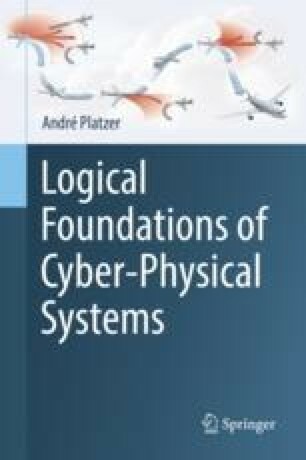 Furthering the remarkable shift in perspective toward a more thorough investigation of the wonders of the continuous dynamics of cyber-physical systems, this chapter advances logical induction techniques for differential equations from differential invariant terms to differential invariant formulas. Its net effect will be that not just the real value of a term can be proved to be invariant during a differential equation but also the truth-value of a formula. Differential invariants can prove that, e.g., the sign of a term never changes even if its value changes. Continuing the axiomatization of the differential equation aspects of differential dynamic logic, this chapter exploits a differential equation twist of Gerhard Gentzen’s cut principle to obtain differential cuts that prove and then subsequently use properties of differential equations. The chapter will also advance the intuitions behind the continuous operational effects involved in CPS.